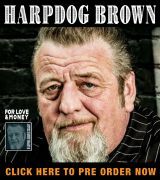 Veteran guitar slinger Todd Wolfe follows up his 2013 release Miles To Go with this collection of material that delivers in-your-face blues, blues-rock, swamp, jam and funk with themes collected and perfected during a recent 200-day tour that took him and the band around the globe. A native New Yorker who grew up influenced by ‘60s blues-rock bands like Cream and Fleetwood Mac and guitars who included Jimi Hendrix, Eric Clapton and Mike Bloomfield, Wolfe emerged on the scene in 1979 in a power trio, Nitetrain. Later, when playing with Troy & The Tornados, another Manhattan favorite, he befriended Sheryl Crow, then an upcoming backup singer. Throughout the ‘80s and into the ‘90s, his and Crow’s careers were intertwined. She moved to Los Angeles, and he joined her briefly to co-write material. Later on, he relocated to the West Coast and formed a new band, but eventually served as her lead guitarist for six years before venturing own again, including working with Mountain’s Leslie West on two albums and another with Bob Dylan. Long Road Back is the ninth CD in his catalog and features his regular lineup of Roger Voss and Justine Gardner on drums and bass and 2015 BluesBlast Music Award nominee John Ginty on Hammond B3 organ, electric and acoustic pianos. All three provide backing vocals and contributed songwriting to ten of the 12 songs on this disc, which delivers tunes that are totally new and original but come with a familiar feel. The album kicks off with “Poison,” a funky number that describes a woman who’s difficult to resist, comes on like a freight train, but is nothing but trouble. She came out of nowhere and took what she wanted. When she decided to leave, he begged her to stay. But Wolfe quickly assures the listener that he “won’t take that poison anymore.” The drums are high in the mix as he launches into a smoking solo mid-tune, displaying perfect control as he squeezes out notes that are the verge of a scream. The tempo slows to a walk for the straight blues “Never Walk Alone,” which promises a lady that if she grabs his hand and holds it tight, they’ll make it through the night and she’ll never walk alone again. Wolfe picks up his acoustic for “Peace Unto You,” a memory of being taught that it’s essential to live a life in which you lend a hand to your fellow man. “Fire Me Up” deals with another favorite poison, this time a female singer looking for love, before “Long Road Back” describes the cost a musician has to pay for being away from home and family for so long. Bass and organ take command to kick off “Gone,” a syncopated jam about the passage of time, before “Annalee,” a statement of love laid atop a rapid-fire rhythm pattern with a Southern rock feel, which continues for “One Shot,” a woman’s statement that her man has more more attempt, not a second chance, to make her heart dance. “Black Queen” is a wah-wah pedal fueled cover of the Stephen Stills classic. It precedes “Hoodoo River,” a swamp blues instrumental, which concludes the set. 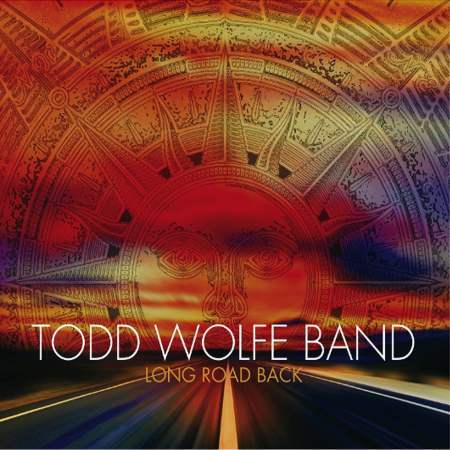 Available through Amazon or iTunes, Long Road Back is a welcome return for the Todd Wolfe Band. They play on the edge, but always maintain control. 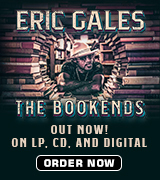 Highly recommended for anyone with a taste for modern rock-flavored blues.